Many farmers have been in their fields harvesting their crops for the last month or so. Farmer Billy Hills has also been doing some harvesting, but you won't find his crop of choice growing in the field. Instead, Farmer harvested gold in the form of the Stride Pro Wrestling tag team titles. 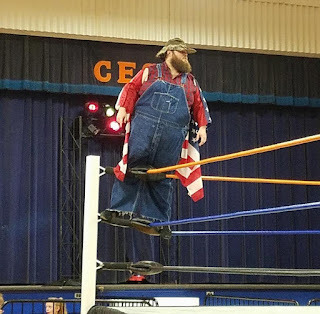 He and Stringbean won the belts back in September. 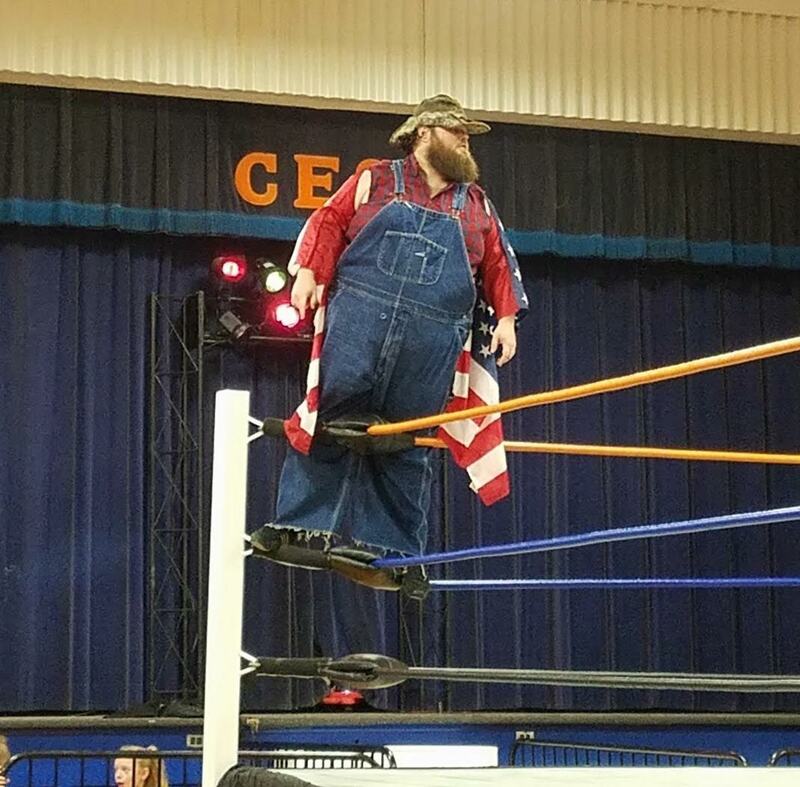 But Farmer's homegrown partner suffered an injury was no longer able to defend, so now Scott Phoenix has been named the new co-holder of the belts. Phoenix recently found himself at a crossroads, having been kicked out of the DR Party by its founder Dexter Roswell. He also lost the managerial services of J. Wellington Beauregard, so the opportunity to team with Farmer came at the perfect time for Phoenix. He's been tag team champion with Ax Allwardt, Roswell and now of course Farmer. 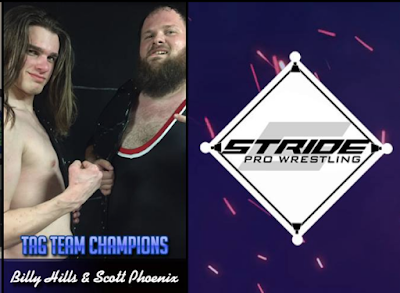 Phoenix is the only man on the Stride roster to hold the titles with three different partners. He and Farmer work well together and it's good to see Billy take Phoenix under his wing and give him a shot (as they've had a history of not always getting along). 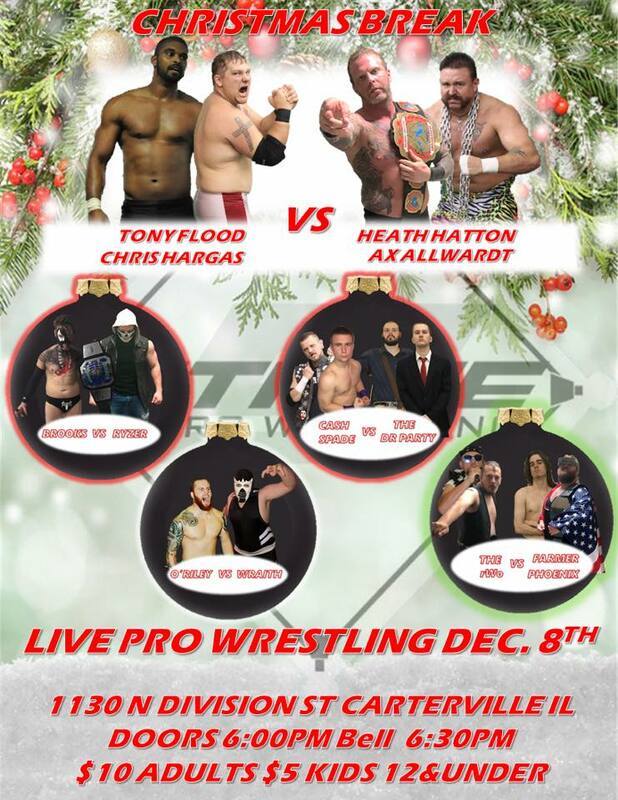 This Saturday night at Christmas Break the champs defend against form champs the Redneck World Order. 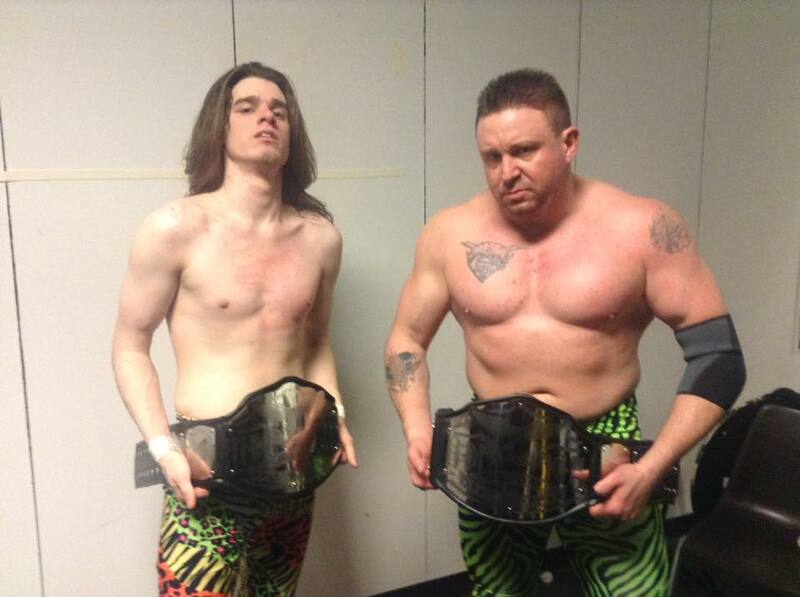 Hollywood Redneck and Cole James hope to repeat as champs. It'll be a great contest that you can witness live and in person at 1130 N. Division Street in Carterville. Don't forget to bring a pro wrestling action figure for the Stride Pro Wrestling/My 1-2-3 Cents Toy Drive. You could win a prize too!